The "Milton Eisentraut Award" is for the fire department member that has gone above and beyond what is expected. 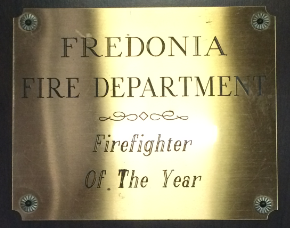 This award is a given each year as a tribute to Milton Eisentraut whom was know for his continual efforts to support the Fredonia Fire department. 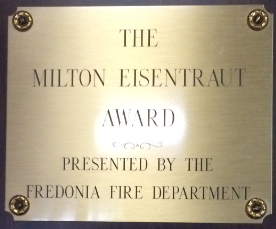 Milton was a very public figure on the department and it is in his spirit that this award, formerly named "Firefighter of the Year" was rededicated as the "Milton Eisentraut Award" in 2000.